Molecular docking is a powerful tool in the field of computer-aided molecular design. In particular, it is the technique of choice for the prediction of a ligand pose within its target binding site. A multitude of docking methods is available nowadays, whose performance may vary depending on the data set. Therefore, some non-trivial choices should be made before starting a docking simulation. In the same framework, the selection of the target structure to use could be challenging, since the number of available experimental structures is increasing. Both issues have been explored within this work. 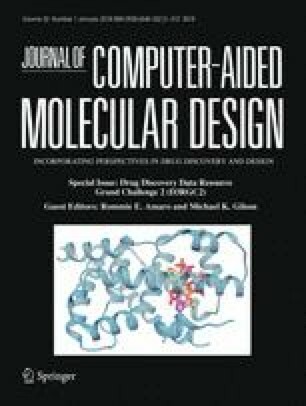 The pose prediction of a pool of 36 compounds provided by D3R Grand Challenge 2 organizers was preceded by a pipeline to choose the best protein/docking-method couple for each blind ligand. An integrated benchmark approach including ligand shape comparison and cross-docking evaluations was implemented inside our DockBench software. The results are encouraging and show that bringing attention to the choice of the docking simulation fundamental components improves the results of the binding mode predictions. Veronica Salmaso and Mattia Sturlese have contributed equally to this work. The online version of this article (doi: 10.1007/s10822-017-0051-4) contains supplementary material, which is available to authorized users. MMS lab is also very grateful to Chemical Computing Group, OpenEye, and Acellera for the scientific and technical partnership. S.M. participates in the European COST Action CM1207 (GLISTEN). Finally, MMS lab is extremely grateful to the organizers of the D3R Grand Challenge for the perfect organization of the event.